The ShuttlePRO V2 EDIUS 9 version (also for EDIUS version 8) is a great tool to quickly set in and out points and choosing the perfect frame for the perfect cut. The ContourDesign Shuttle PRO V2 as version for EDIUS 9 also features 15 programmable keys to even further enhance your individual workflow. 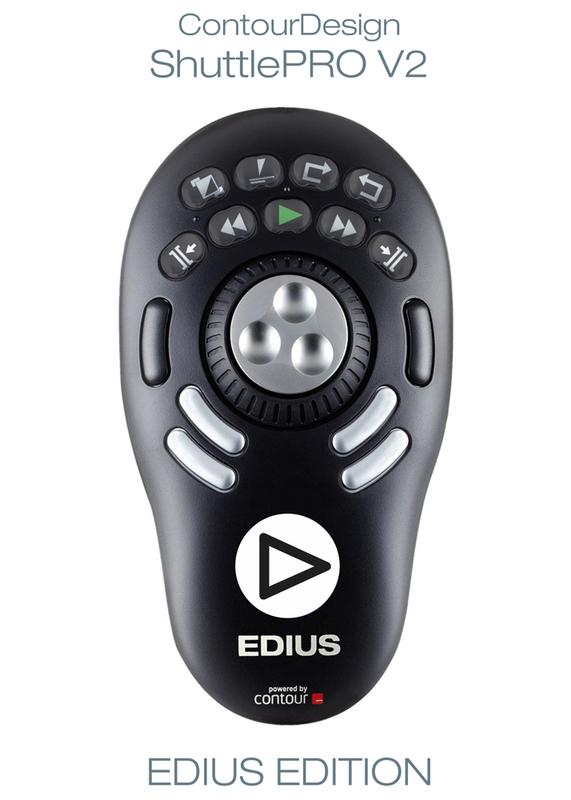 The shuttle comes with a comprehensive preset preconfigured for EDIUS 9. You may easily change any of those settings, macros and keyboard shortcuts to your liking. And did you know that presets for more than 100 other applications are also included? Shuttle Pro V2 detects which application is currently active and automatically switches to the appropriate preset. The ShuttlePRO V2 EDIUS 9 version offers a big boost and enhancement to almost any workflow and application – and especially of course for EDIUS 9.